Opening her presentation at Seamless Southern Africa last week, Lauren King, executive: e-commerce and web services at Edcon, shared her understanding of customer experience (CX). “Let’s start with what it’s not. It’s not your brand, your advertising, your radio spots or your PR. It’s not the reception area, the customer’s first point of contact or your on-the-floor salesperson. It’s not your e-commerce site, your data or your single view of the customer. It’s not your product offering, quality or benefit. In today’s hyper-competitive retail environment, if you don’t get it right, another business will take you out, King warned. She shared a few methods for ensuring your business delivers great CX. Employees should be equipped to handle customer interactions at all times, King said, be that on the shop floor, via social media, at their desk, or around the braai. And differentiate your business by equipping your staff with specialised skills and key expertise to carry out standout personalised customer service. Allow customers to experience your products in the way in which they would normally use them. Selling sports shoes? Why not incorporate a small track or court into the store space? King also says to have in-store demos of products being sold or offer customers a short trial-at-home experience before committing to a purchase. And use technology to facilitate experiences that aren’t attainable in real life. “Continuity is king. Experiences of engaging with your brand should be the same irrespective of the channel,” King said. She explained that examples of omnichannel integrations include simple allocations of technological enablements, such as ‘endless aisles’ or ‘click and collect’. Lastly (and it goes without saying), customer data should be the driving force behind any custom, targeted marketing. Put simply, long queues = short tempers. Find faster ways to facilitate better, faster checkout processes and to help customers find the products they’re looking for. King adds that developing innovative solutions doesn’t necessarily mean using sophisticated technology. For example, mobile POS devices means that a sale can be processed wherever the customer may be in the store. 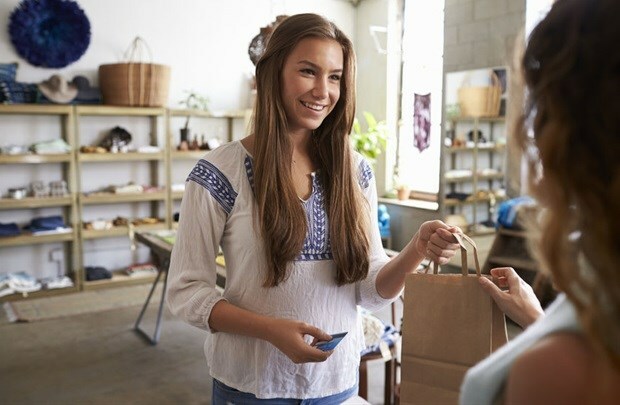 Retailers must have a single view of the customer, which takes into account previous shopping behaviour, search data, complaints lodged and social media behaviour. Though King admits this can be difficult to achieve in large organisations where data is stored across various locations. But we need to get there! King also advised to know your customer’s profile. “People tend to be similar in terms of profiles, but are not carbon copies of each other. Learn to read the signals and body language to determine if you are leaning in the right direction,” she said. Ultimately, be specialist enough that when your customer expresses a preference, you can suggest something similar. So, what’s holding business back? According to King, exceptional customer experiences come from constantly delighting and exceeding the expectations of your customers. She shared a few points to keep in mind along your CX journey. Always more work: Change is constant; markets evolve and your business must adapt. The customer experience will require constant refinement and improvement. “Re-examine, rework and adapt,” said King. Every employee must take ownership: The ultimate vision of your business must be determined and clearly communicated to all levels of employees, from the CEO to the salesperson. Expect more complaints: Complaints should be encouraged. “Your customers are invested enough to let you know what’s wrong. A complaint is an opportunity to convert,” King concluded.